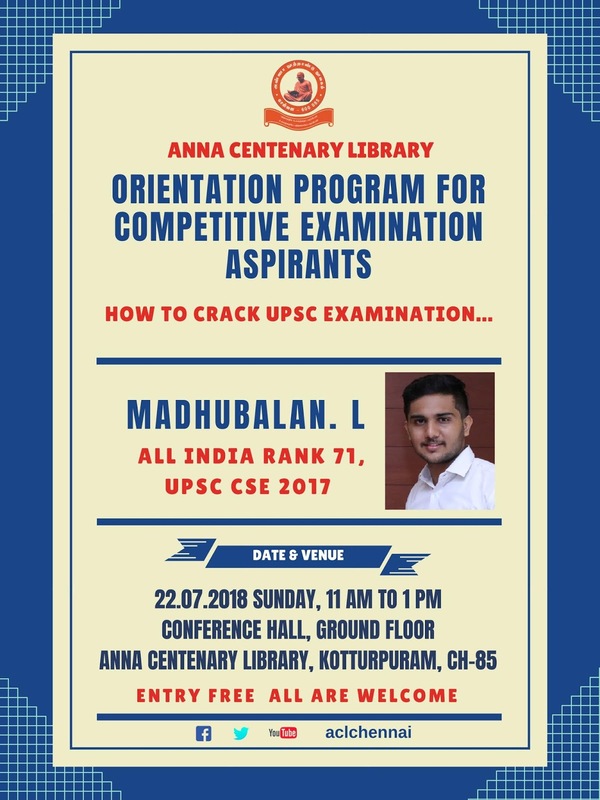 Anna Centenary Library conducts Orientation Program for Competitive Exams Aspirants on every Sundays. This week, Mr.Madhubalan. L will be the resource person on 22.07. 2018 at 11 am to 1 pm . Entry Free! All are Welcome!